Mike Skinner picked up the 14th last-place finish of his NASCAR Sprint Cup Series career in Sunday’s Tums Fast Relief 500 at the Martinsville Speedway when his unsponsored #37 MaxQ Motorsports Ford was involved in a six-car accident after completing 7 of the race’s 500 laps. The finish was Skinner’s fifth in 2011 and his first since Watkins Glen, eleven races ago. With three races to go, he is now tied with J.J. Yeley for the second-most Cup Series last-place finishes in 2011. Each are just one finish behind current leader Michael McDowell. The last time the Cup Series came to Martinsville, Skinner was making his first start for Germain Racing as the “start-and-park” driver of their #60 Big Red Toyota. He acquired the ride after helping Frankie Stoddard’s #32 FAS Lane Racing team make the Top 35, scoring finishes of 24th and 29th in Phoenix and Las Vegas. Skinner made fifteen starts in Germain’s #60, scoring four last-place finishes during the spring and summer months. The team’s final start - and last-place finish - came last month at Atlanta, where Skinner switched rides with an ailing Dave Blaney, who was suffering from kidney stones. Skinner brought Blaney’s car home 27th. After the Atlanta race, a string of four DNQs and two withdrawals, combined with frequent switches between Toyota and Chevrolet and a qualifying crash at Dover, culminated with the #60 team pulling out of competition before Talladega. Talladega also saw Larry Gunselman’s #37 MaxQ Motorsports car score its third-consecutive DNQ with driver Josh Wise. Martinsville’s preliminary entry list placed Wise as MaxQ’s driver, but it was Skinner behind the wheel for Saturday morning practice. With qualifying cancelled by rain, Skinner secured the 38th starting spot and prepared for his first start with the team. Seven laps into Sunday’s race, Dale Earnhardt, Jr. and Kurt Busch made contact in turns one and two, causing a spin that quickly blocked the track. Skinner and the #34 of David Gilliland, both trailing the initial spin, failed to slow down fast enough and collided with the stopped cars in front of them. Skinner rear-ended the #78 of Regan Smith, causing substantial damage to the nose of his Ford and a small fire under the hood. Skinner and Smith were uninjured, and the #37 was the only car involved in the wreck that failed to return to the track. *Skinner has just one other Cup Series last-place finish at Martinsville and, interestingly, it was the first finish of his career. The race was the 1986 Goody’s 500 - 25 years ago this past September - when Skinner’s unsponsored #19 Zanworth Racing Team Pontiac fell out with oil pressure problems after 34 of the race’s 500 laps. It was one of only three starts the Zanworth team ever made. All three came with Skinner in 1986 with the other two coming in the spring race at Martinsville and in the fall race at Rockingham. Their best finish was a 22nd in the spring Martinsville event. *The last time the #37 finished last in a Cup race at Martinsville was in 2009, when Travis Kvapil’s Long John Silver’s Dodge fell out with brake problems after 30 laps. Although Skinner is ranked second in the LASTCAR Driver’s Championship, this was actually the #37 team’s first last-place finish of 2011 after five previous bottom-five finishes. Mike Garvey picked up the 10th last-place finish of his NASCAR Camping World Truck Series career in Saturday’s Kroger 200 at the Martinsville Speedway when his #93 S&W Services Chevrolet fell out with brake problems after completing 8 of the race’s 200 laps. The finish, Garvey’s fifth of the year and first since Lucas Oil Raceway in July, ten races ago, secured him his second-consecutive LASTCAR Truck Series Driver’s Championship. No other Truck Series driver has scored more than two last-place finishes in 2011. Garvey joins Loni Richardson (2002, 2004) as the only two Truck Series drivers with multiple LASTCAR championships and becomes the first to win consecutive titles. Although Garvey has driven owner Shane Sieg’s #38 for much of this season, Martinsville saw him drive Sieg’s #93 for the third time in 2011 and for the first time since Bristol. In qualifying, Garvey put up the 35th-fastest speed at an average of 90.938 mph, just getting him into the 36-truck field. Missing the race were Loudon last-placer Jennifer Jo Cobb and the #99 of newcomer Charlie Vest. Garvey’s truck was the first to go behind the wall during the opening green-flag stretch. Though nine cautions slowed the race’s pace for fifty laps, however, the only other truck to fall out of the event was the wrecked #4 of Ricky Carmichael. *This was Garvey’s second-consecutive last-place finish in the Truck Series fall race at Martinsville. In the 2010 Kroger 200, Garvey’s #93 S&W Towing Chevrolet left the race after 27 laps, again with brake problems. 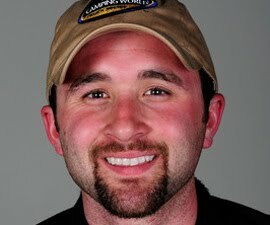 *This was the third time in the last four Truck Series races at Martinsville that owner Shane Sieg’s #93 has finished last. Sieg himself finished last in the spring of 2010, citing electrical problems after three laps. 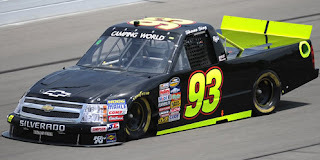 Even though Garvey drove the #93 in place of the #38, the latter team has still claimed the 2011 LASTCAR Truck Series Owner’s Championship by virtue of its 13 bottom-five finishes. As mentioned last week, the 2nd-ranked #10, #57, and #75 teams have only five, three, and six bottom-five finishes respectively. The #93, now tied with them, has only eight. Kevin Conway picked up the 3rd last-place finish of his NASCAR Sprint Cup Series career in Sunday’s Good Sam Club 500 at the Talladega Superspeedway when his #97 ExtenZe Toyota fell out with a vibration after completing 2 of the race’s 188 laps. At Talladega, Conway returned to “start-and-park” duty for Nationwide Series team owner and on-track teammate Joe Nemechek, again behind the wheel of Nemechek’s #97. On Saturday, with a qualifying lap of 179.693 mph, Conway timed in 20th - his best career starting spot in 31 total Cup starts. After he narrowly missed the Daytona 500 field during a late battle in the Gatorade Duels, Conway has successfully made the show for every restrictor plate Cup race held since. Two laps into Sunday race, however, Conway also scored his third consecutive last-place finish on these tracks when he pulled behind the wall under green. Dave Blaney, who nearly pulled the upset at Talladega in the spring in owner Tommy Baldwin's #36, drove a tremendous race and finished a career-best 3rd for the third time in nineteen years of Cup racing. His Golden Corral Chevrolet, rebuilt from a crash at Daytona in July, was revealed to be a former Bill Davis Racing chassis from 2007 or 2008. Nevertheless, with the drafting help of Brad Keselowski, Blaney sped to his first top-10 finish of the year, triggering his sponsor's now-famous "Top 10 Kids Eat Free" campaign. *Conway is the first Cup driver to finish last in three consecutive superspeedway races at Daytona and Talladega. This dates all the way back to the first Daytona qualifier in 1959 and includes every year that the qualifying races were listed as points races. On a handful of occasions, a driver has finished last in two consecutive plate races, most notably in 1992 when Dale Earnhardt’s terrible season was furthered by last-place showings in the July races at Daytona and Talladega. *This is the second consecutive year that NEMCO’s #97 has finished last in the Cup Series’ fall race at Talladega. In 2010, Jeff Fuller was behind the wheel when his HeatRedefined.com Toyota left the race with a rear gear failure after two laps. With four races to go, Michael McDowell, 40th at Talladega, remains the leader of the LASTCAR Cup Driver’s Championship, having just avoided a tie with J.J. Yeley, who came home a close 42nd on Sunday. By scoring a season-best finish of 22nd at Charlotte last Sunday, Yeley now trails McDowell by an insurmountable five bottom-five finishes: 19 to McDowell’s 24. Thus, only an overall lead can guarantee Yeley the LASTCAR Cup Driver’s Championship. And it’s not a two-driver race. 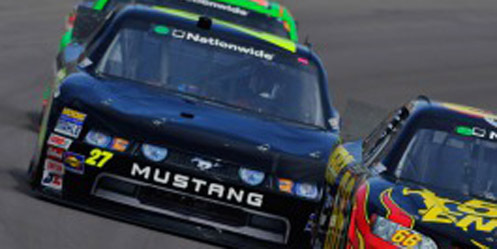 Although Mike Skinner has lost his ride with Germain Racing for the rest of 2011 and Kevin Conway is not expected to compete in the final races of this season, defending LASTCAR Champion Joe Nemechek remains two finishes out of the lead and has continued to make all 32 races this season. With four races to go, Nemechek already has four more bottom-fives than McDowell with a series-leading total of 28. Last week, it was reported that the #60 Germain Racing team would not attempt any more races in 2011, eliminating the team from LASTCAR contention due to the team’s 19 bottom-five finishes to the #66's current total of 25. Nevertheless, the battle for the LASTCAR Owner’s Championship also remains close as Front Row’s #55, though with only 11 bottom-fives, remains tied for the most finishes with the #66 and will run the rest of the year. However, if NEMCO’s #87 can score the two finishes needed to join the tie, they may be able to wrestle the title from the #66 by virtue of its 28 bottom-fives collected with Nemechek so far. J.J. Yeley picked up the 1st last-place finish of his NASCAR Camping World Truck Series career in Saturday’s Coca-Cola 250 at the Talladega Superspeedway when his unsponsored #66 Turn One Racing Chevrolet fell out with transmission problems after completing the first of the race’s 94 laps. The finish came in Yeley’s 13th series start. With the finish, Yeley became the first driver in the history of NASCAR to score at least one last-place finish in each of its top three divisions in the same season. This season, prior to Saturday, he had one last-place finish in the Nationwide Series and five in Cup. Yeley was driving for Turn One Racing, a team owned by series veteran Stacy Compton. In its first full year of competition, Turn One began the year with two trucks: Cole Whitt’s #60 and the #66, which began the year with sports car and ARCA competitor Justin Marks. Marks competed with the team for the opening twelve races, scoring a pole at Dover and a season-best finish of 9th at Charlotte. Marks and primary sponsorship from GoPro left the #66 team after Nashville. Although the team has made all twelve races run since the split, and Ross Chastain put up a 10th-place finish at Indianapolis, the team has finished no better than 19th with five different drivers. Yeley became the fourth different driver at Chicago, where he finished 30th. Last week at Talladega, Yeley timed in 33rd at a speed of 167.556 mph, relying on the #66 team’s owner points to beat the four “go-or-go-homers” that went home. Just as in his two previous starts for Turn One, the truck lacked sponsorship, and Yeley pulled it behind the wall after Lap 1. The next day, Yeley finished 42nd in the Cup race, parking Front Row’s #55 after three laps. Teammate Cole Whitt finished 14th in the #60, extending a streak of five consecutive top-15 finishes in the Truck Series. *The #66 had not finished last in a Truck Series race since 2005, when Todd Bodine’s BowTech Archery / Sportcoins.com Toyota was involved in a crash with Ken Weaver after completing three laps of the 2005 American Racing Wheels 200 at the Auto Club Speedway of Southern California. Thus, the number had also never finished last in a Truck Series race at Talladega since the series arrived there in 2006. With three races to go in the 2011 season, Mike Garvey can lock up his second-consecutive LASTCAR Camping World Series championship if Norm Benning, Chris Lafferty, and Brent Raymer do not finish last in the final three races of the season, starting this Sunday at Martinsville. If Garvey ties one of these drivers with four finishes apiece, he will still claim the title by virtue of his 15 bottom-five finishes while Benning, Lafferty, and Raymer only have three apiece. Similarly, the #38 team can lock up the Owner’s Title if the trucks of the #10, #57, and #75 team fail to finish last in the final three races. The #38 team has 13 bottom-five finishes in 2011 compared to the #10's five, the #57's three, and the #75's six. Joe Nemechek picked up the 28th last-place finish of his NASCAR Sprint Cup career in Saturday’s Bank of America 500 at the Charlotte Motor Speedway when his #87 AM / FM Energy / Pellet & Wood Stoves Toyota fell out with a vibration after 11 of the race’s 334 laps. The finish was Nemechek’s fourth of the 2011 season and his first since the June race at Kansas, eighteen races ago. The finish is also Nemechek’s 34th across all three of NASCAR’s top divisions, moving him within one finish of tying all-time LASTCAR leader Derrike Cope for the most last-place finishes in NASCAR history. Curiously, it was during the Charlotte weekend that Cope was expected to return to the Cup Series, but he withdrew his #75 Dodge on Thursday after failing to run any laps in the opening practice session. Nemechek is also four finishes away from tying the late J.D. McDuffie for the most last-place finishes in Sprint Cup history (32). Back at Charlotte, Nemechek qualified 39th at a speed of 187.311 mph, but was the slowest car in both Friday’s final two practice sessions. On race night, rookie driver Andy Lally first fell to the rear. Lally, who had campaigned TRG Motorsports’ #71 for much of the year, was debuting a new second team, #77, which would run for the rest of 2011. Though without sponsorship, Lally was the fastest “go-or-go-homer” in both Friday practice sessions, reaching seventh in Friday’s morning practice. In the race, Lally was still running 43rd when Nemechek pulled behind the wall after 11 laps, ending his night. Lally and the #77 pulled out nine laps later, citing brake failure. Nemechek’s early exit ended a three-race last-place streak by Front Row’s #55, this time again driven by Travis Kvapil. 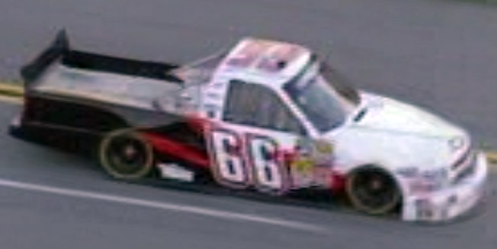 Though the #55 carried sponsorship from the Ingersoll-Rand corporation, the car retained its “start-and-park” status and fell out after 27 laps, sixteen laps after Nemechek took 43rd. As a result, Michael McDowell, who came home 39th, continues to hold a one-finish lead on J.J. Yeley for the LASTCAR Driver’s Championship while the Owner’s Title remains a three-way tie between the #55, McDowell’s #66, and the #60 Germain Racing team, which withdrew with Mike Skinner prior to the opening practice. Nemechek now stands two finishes behind McDowell for the Driver’s title - still in contention to defend his 2010 title with five races left to be run. *Nemechek and the #87 scored their most recent Charlotte last-place finish in Sprint Cup competition during the 2009 running, when his unsponsored Toyota left the race with engine trouble after 26 laps of the NASCAR Banking 500 Only From Bank of America. 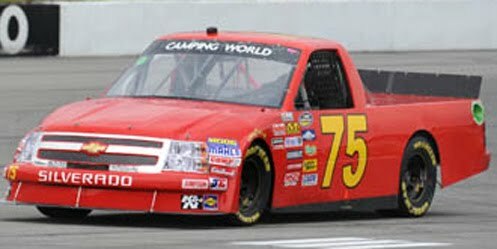 Johnny Borneman III picked up the 1st last-place finish of his NASCAR Camping World Truck Series career in Saturday’s Smith’s 350 at the Las Vegas Motor Speedway when his unsponsored #75 Norm Benning Racing Chevrolet fell out with handling problems after completing the first of the race’s 146 laps. The finish came in Borneman III’s second series start and his first since driving his father’s #81 truck at Texas in 2003. His father, John Borneman, who also made two career Truck Series starts, was the series’ first last-place finisher in a points race: his #8 MJ Soffe Chevrolet left the 1995 Copper World Classic at Phoenix after 22 laps with handling woes. At Vegas, Borneman III was tabbed to drive Norm Benning’s #75 “start-and-park” entry in its sixth race of the 2011 campaign. He was likely signed to drive the truck at the 1.5-mile track as the Borneman family hails from nearby California. A veteran of twelve seasons in the K&N West Series, Borneman III has also made twenty Nationwide Series starts, scoring an emotional career-best fifth-place finish for his family’s team at Talladega last year (click here for the post race interview at 4:08). With just 34 trucks showing up to compete in Las Vegas, Borneman III was able to secure the final starting spot with a speed of 153.118 mph, more than 23 mph slower than polesitter and race winner Ron Hornaday’s lap of 176.056 mph. After the opening lap of the race, Borneman III pulled behind the wall and out of the race. 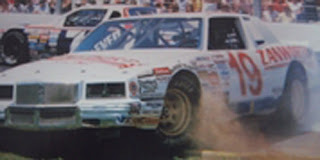 Joining Borneman III in the bottom five positions was 31st-place Wayne Edwards, still the all-time LASTCAR leader in the Truck Series with 13 last-place finishes. Edwards was making his first start of 2011 driving the #0 - the same number he drove during part of his 2007 LASTCAR Truck Series championship. Saturday at Vegas, his #0 was a second Jennifer Jo Cobb-owned Ford. *Although this is Borneman III’s first last-place finish in the Truck Series, he has two Nationwide finishes at the Auto Club Speedway of Southern California, his home track. The first came in the 2007 Camping World 300, where his #44 Super Series Chevrolet fell out with engine problems after two laps. The second was in the 2010 Stater Brothers 300, six races before his breakout performance at Talladega, when his #83 Twisted X Boots / Red Line Oil Ford lost the transmission after two laps. *This is the #75 team’s second last-place finish in 2011. The first came in the team’s debut at Iowa, where ARCA veteran Greg Seevers fell out of the race after three laps with overheating problems. Seevers was also the series’ most recent first-time last-place finisher. *The #75 had never before finished last in a Truck Series race at Las Vegas. J.J. Yeley picked up the 7th last-place finish of his NASCAR Sprint Cup Series career in Sunday’s Hollywood Casino 400 at the Kansas Speedway when his unsponsored #55 Front Row Motorsports Ford fell out with ignition trouble after 12 of the race’s 272 laps. It was Yeley’s fifth last-place finish of 2011, his first since the August race at Michigan, seven races ago, and his third in Front Row’s #55. The #55 team is now in a three-way tie with Germain Racing’s #60 and HP Racing LLC’s #66 for the 2011 LASTCAR Owner’s Championship - each with six finishes apiece with six races to go. In addition, Yeley became the first driver to finish last in both the Nationwide and Sprint Cup races at the same track on the same weekend since Dave Blaney finished 43rd for both Phil Parsons’ teams at Atlanta in September of 2009. After running four of the last five races in Front Row’s #38, scoring a best finish of 25th in that stretch, Yeley and Travis Kvapil switched rides once again, putting Yeley back in the “start-and-park” #55. Both Yeley and Kvapil put their cars into the race with Yeley putting up the 28th-fastest speed of 172.568 mph. Kvapil timed in 36th. At the start of the race, A.J. Allmendinger, David Reutimann, and Reed Sorenson all fell to the rear of the field for missing driver’s introductions. While Allmendinger and Reutimann picked their way through the field in the early stages, Sorenson remained 43rd in Robby Gordon’s pink #7 SPEED Energy Dodge. Sorenson remained in that spot until Lap 13, when Yeley pulled behind the wall, followed by Casey Mears and Joe Nemechek before the first caution. Kvapil finished 27th and led three laps when he stayed out for the ensuing Lap 24 restart. *The Front Row Motorsports #55 team is the first Cup Series organization to score three consecutive last-place finishes since last summer when Max Papis and the #13 Germain Racing team finished last at Michigan, Sonoma, and Loudon. Next week at Charlotte, the #55 has a chance to become the first Cup Series team to extend that streak to four. *This was Ford’s first last-place finish in a Cup race at Kansas since 2004, when Kirk Shelmerdine’s #72 Vote For Bush Ford fell out with clutch problems three laps into the 2004 Banquet 400. *Neither Yeley nor the #55 had ever before finished last in a Cup race at Kansas. With the finish, Yeley pulls within one finish of tying Michael McDowell for the 2011 LASTCAR Driver’s Championship. With the possibility of a tie in the next six races, McDowell remains just ahead of Yeley with 22 bottom-five finishes to Yeley’s 18. Mike Skinner, the current driver for the #60 Germain Racing team, failed to qualify at Kansas and has now missed the last five consecutive races. With three teams now tied for the lead in the Owner’s Championship, the tiebreaker will also revert to bottom-five finishes. There, again, the #66 team holds the advantage with 23 bottom-fives. The #60, due in part to their recent streak of DNQs, has 19 while the #55, which debuted at Loudon in July, has only 9. J.J. Yeley picked up the 2nd last-place finish of his NASCAR Nationwide Series career in Saturday’s Kansas Lottery 300 at the Kansas Speedway when his #27 31-W Insulation Ford fell out with electrical problems after completing 2 of the race’s 200 laps. The finish was Yeley’s first of the 2011 season, but the second for the Baker-Curb Motorsports team. Their other finish came with Justin Marks at Phoenix, 28 races ago. Kansas was the #27 team’s sixth start of the 2011 Nationwide Series campaign and its fourth with J.J. Yeley aboard. The car’s best finish came in its most recent start at Fontana in April, where Canadian J.R. Fitzpatrick turned in a 20th-place finish. Having struggled through the first five races of the season, however, Baker-Curb did not make another race until Saturday. Yeley’s lap of 164.951 mph in qualifying was just good enough for the 43rd and final starting spot, edging Dennis Setzer for the position by less than five hundredths of a second. On race day, Yeley missed the driver’s meeting, then pulled behind the wall a lap before T.J. Bell and 2011 LASTCAR Nationwide Driver’s Champion Jeff Green. While Mike Curb’s team made only a brief appearance in the Nationwide race, he also succeeded in making his 100th Sprint Cup start as an owner. Austin Dillon, grandson of Richard Childress and the current Camping World Truck Series point leader, made his Cup Series debut Sunday driving Curb’s #98 Childress-prepared Chevrolet. It was Curb’s first Cup start as an owner since Brad Noffsinger’s run in the season-ending 1988 Atlanta Journal 500 at Atlanta. *This was Yeley’s first Nationwide Series last-place finish in more than six years. His only other 43rd came at Fontana, when his #18 Vigoro / The Home Depot Chevrolet lost the engine four laps into the 2005 Ameriquest 300. *Yeley’s finish in a Ford ends an eight-race last-place streak by Chevrolet in the series which began after Jennifer Jo Cobb’s Ford finished last at Lucas Oil Raceway. *The #27 has never before finished last in a Nationwide Series race at Kansas. Travis Kvapil picked up the 4th last-place finish of his NASCAR Sprint Cup Series career in Sunday’s AAA 400 at the Dover International Speedway when his unsponsored #55 Front Row Motorsports Ford fell out with ignition problems after 12 of the race’s 400 laps. It was Kvapil’s second last-place finish of 2011 and his second in a row, following his early exit last Sunday at Loudon. Kvapil locked himself into the Dover field with a speed of 156.230 mph, placing him 32nd on the starting grid. While teammate J.J. Yeley in the Front Row #38 was forced to a backup car following an accident in Friday’s opening practice, Kvapil had an uneventful weekend. Dropping to the rear at the start, Kvapil pulled behind the wall between the first and second cautions, followed twelve laps later by Scott Speed in Dusty Whitney’s #46 Ford. Yeley was involved in a single-car accident on Lap 300 and ended up finishing ten laps down in 34th. David Gilliland in Front Row’s top-ranked #34 finished three laps down in 28th. *The #55 had not finished last in a Sprint Cup race at Dover since 1999, when Kenny Wallace’s Square D Chevrolet fell out with engine failure after 63 laps of the 1999 MBNA Gold 400 at Dover. *This was Kvapil’s first-ever last-place finish in a Cup race at Dover. *Kvapil joins current LASTCAR Cup leader Michael McDowell (Bristol and Fontana; Darlington and Dover) as the only two Cup drivers with consecutive last-place finishes in 2011. Kvapil had never before finished last in two consecutive races. The #60 Germain Racing team, still tied with HP Racing’s #66 for the Owner’s Championship, has now been absent from the last four consecutive races since Dave Blaney drove the car to its sixth last-place finish at Atlanta. In that time, Mike Skinner, the team’s regular driver, has scored three DNQs and the team withdrew back at Loudon. Although the #66 scored the tying last-place finish of at Chicagoland, the #55 Front Row Motorsports team’s streak could make it a three-car battle for the Owner’s Championship. 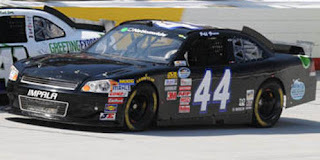 Jeff Green picked up the 25th last-place finish of his NASCAR Nationwide Series career in Saturday’s OneMain Financial 200 at the Dover International Speedway when his unsponsored #44 TriStar Motorsports Chevrolet fell out with a vibration after 1 of the race’s 200 laps. With the finish, Green has now scored the most last-place finishes of any driver in NASCAR Nationwide Series history, breaking a tie with three-time LASTCAR Nationwide Series champion Jeff Fuller. Also, with a combined total of 30 finishes, Green also holds sole possession of fourth in the all-time LASTCAR standings, just five finishes behind all-time leader Derrike Cope. Further, this finish was the series-leading ninth of Green’s 2011 season - his first since Bristol, four races ago (LINK) - and he has now locked-up his second LASTCAR Nationwide Series championship. Green’s first LASTCAR title came in 1996, when he scored three last-place finishes while driving for Dale Earnhardt, Inc.
At Dover, Green timed in 29th at a speed of 148.325 mph, ranking him sixth among the field’s “go-or-go-homers.” It was also Green’s third consecutive qualifying run inside the Top 30. However, still on “start-and-park” duty for TriStar, Green pulled behind the wall after the opening lap. *This was Jeff Green’s second-consecutive last-place finish in the fall Nationwide Series race at Dover. In last year’s Dover 200, while driving TriStar’s #36 Chevrolet, Green also left the race after the opening lap, that time with brake failure. *This was the first time the #44 has ever finished last in a Nationwide Series race at Dover. With a six-finish lead and just five races remaining, Jeff Green and the #44 TriStar Motorsports team have officially clinched the 2011 LASTCAR Nationwide Series Driver’s and Owner’s Championships. Second-ranked Brett Rowe and the #55 Faith Motorsports team have not raced since their most recent last-place run at Road America in June.